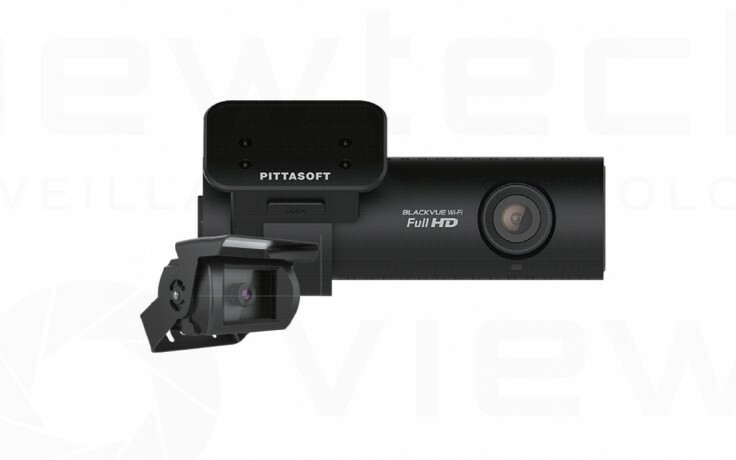 Viewtech is an NZ authorised dealer for Blackvue and can offer full NZ warranty. The DR650GW-2 TRUCK is a dual forward and rear facing vehicle camera system with built in GPS & audio recording as well as wifi connectivity. The second camera is fully waterproof so can be mounted externally on trucks, utes and other vehicles. We stock the 64GB model of this, normally this is required as the two HD cameras do require more space. A Blackvue branded 64GB card is included. The wifi option allows instant replay or backup directly to a iPhone and Android smart phone. The application is free to download from your app stores and is very easy to install and connect. Blackvue is a premium quality drive camera system featuring a True 1080p image sensor and high quality Megapixel lens. There are many cheaper drive cameras around that claim to be full HD but really they use inferior image sensors which only upscale to Full HD leaving the image looking blocky. Blackvue also has superior light handling capabilities which can quickly adjust to changing lighting conditions. An advanced feature of the DR-650GW-2CH TRUCK is its parking mode. The camera will automatically swith to parking mode once it has detected that it is no longer moving. While in parking mode the camera will start recording if it detects motion within its field of view or if the built in shock sensor is tripped. This enables a full video account of the events in front of you vehicle even when you are not present. Parking mode requires a power source that does not turn off with the key. We stock an optional parking power kit which monitors battery voltage and will shut the camera off once voltage gets below levels which would enable the car to start. The DR650GW-2CH TRUCK is easy to mount to any windscreen. The clever mount design allows easy image adjustment and allows the camera to be removed for storage. Powering is via a cigarrete adapter or by the optional extra parking mode kit. The secondary camera is installed onto the rear windscreen and a small coax is run from the rear camera back to the front camera. The my way viewer PC & MAC software allows full replay and analysis of the video information. Video is replayed along with speed, mapping information, audio and G-force info. My Way Viewer also allows searching by route and will bring up relevant video that relates to a searched street or road. Daytime forward facing video. Watch full screen in 1080p to view full quality. If you monitor is not 1080p you will not see the full quality. Night Time forward facing video.